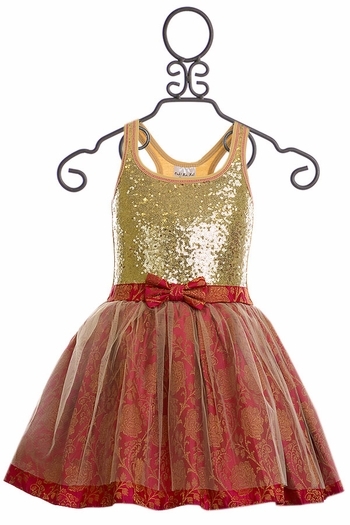 For the girl that is all about the glitz, this Ooh La La holiday dress is released just in time. The cotton bodice is cut with a sleeveless U neckline and a racer back. The front is covered in golden champagne sequins and a sheer tulle overlay to keep them safe. 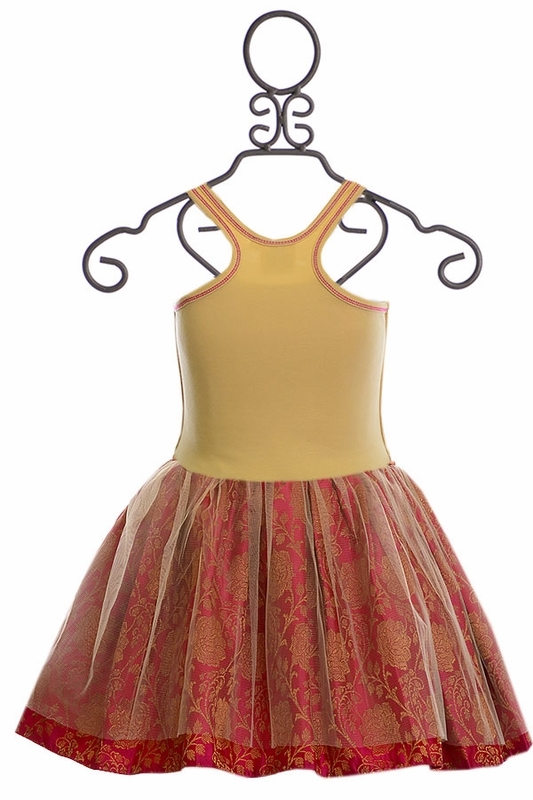 The full circle skirt allows the extra fabric to dance with her steps and is built in layers. 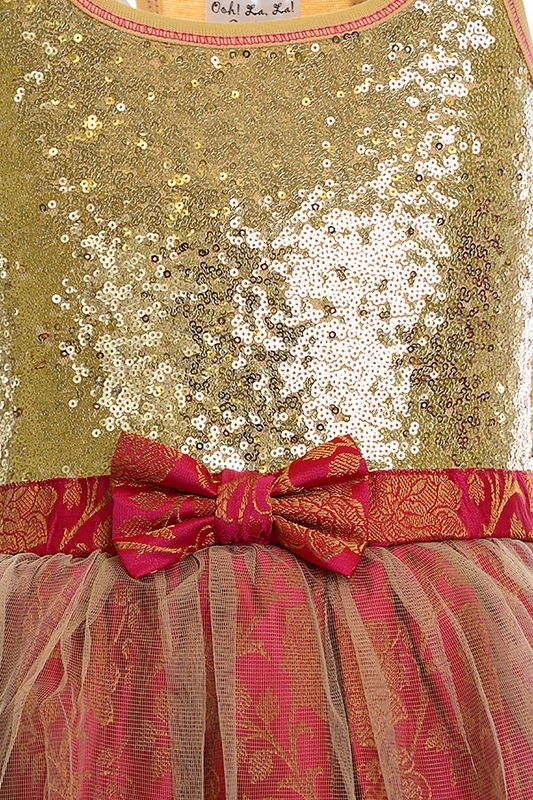 The bottom begins with a champagne tulle to match the glittering top. 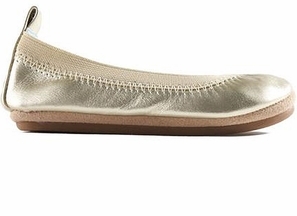 Beneath we see the hot pink peak through, complete with a royal gold embroidery. This pink fabric has a regal feel and is also found on the waistline, decorated with a bow. This design is also available in black and pink while they last!